TULSA, – Former Oklahoma State All-American and and PGA Tour rookie Talor Gooch will make a special appearance at FlyingTee Sept. 29 at 11 a.m. to watch the Cowboys take on the University of Kansas Jayhawks in Lawrence. Gooch will host a meet and greet, and an autograph session with fans, during halftime of the game. 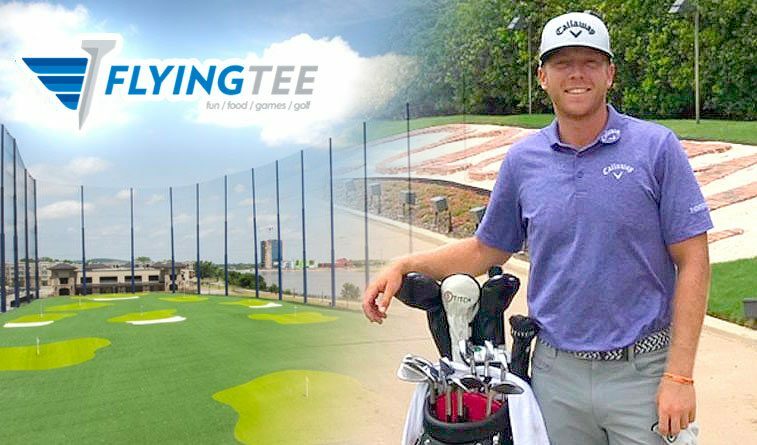 Gooch partnered with FlyingTee earlier this year, to serve as an official ambassador, promoting FlyingTee and golf in Oklahoma on the PGA Tour. Gooch finished the 2017-2018 season 139th on the FedEx Cup. good enough to keep conditional PGA Tour privileges in 2019, but not one of the top 125 fully exempt players. He is competing in the final of the four-event Web.com Tour Finals this weekend in an effort to improve his status. The Midwest City native and three-time All-American at OSU earned his way onto the PGA Tour in 2017 with a strong campaign on the Web.com Tour that included winning the News Sentinel Open and taking second in the Price Cutter Charity Classic. “Talor Gooch represents the top of the line athletic talent coming out of Oklahoma in all sports, so it’s a privilege to have the FlyingTee logo on his golf bag, and it’s especially exciting to welcome Talor to his first public appearance here,” said FlyingTee CEO John Vollbrecht. College and high school golf teams are invited to this unique opportunity, and information for FlyingTee friends to attend will be shared online and through social media.